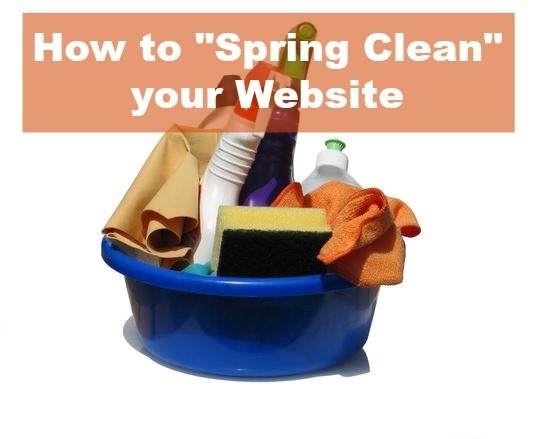 If you couldn’t guess from the title, it’s time to give your website a little spring cleaning action. Like many things in our day to day lives (closets, drawers, trunks), websites also accumulate items that are no longer needed or of any value. Here are a few helpful tips to help you learn about what to tackle first and how it can help your website. When it comes to cleaning up your content, you can go one of two ways. The first way consists of going through each page on your website and updating the dates, names, and places to reflect your current business. The even better way is to look at your website’s analytics. Do you see any pages on your website that aren’t getting any traffic? If you have several pages getting little to no traffic, then you should take a closer look before deciding to delete them. Looking a little deeper may help you figure out the reason for the lack of traffic. Do the pages offer any kind of value to your audience? If it’s unclear, you could take some time to create new content for the pages to help better serve your client base. Creating new and fresh content also helps with how your website ranks on Google. Photos can quickly date your website. Browse through each page and look at your photos closely. Do you have pictures of an event from five years ago? How many of the employees pictured on your staff page still work for your company? Going through and making simple changes like updating the photos will not only make your site look better visually, but it also says a lot about your company. It shows current clients and potential clients that you are detail oriented and up to date with your business. SERVICES - DO YOU STILL OFFER THIS STUFF? One of the biggest complaints is when a client searches and discovers your service through a search engine only to discover you no longer offer that service. This is actually one of those things that not only affects your website traffic, but it can also affect your business. Instead of waiting until the once a year clean-up, make sure you change services on your site when they change for your business. After you have gone through and “cleaned up” the larger parts of your website, it is now time to really get into the little nooks and crannies. While these small updates may not seem like a lot, these changes can result in more traffic and leads to your website. For instance, is your “CONTACT US” page up to date? Can potential clients or customers easily reach you? According to a Web Usability Report created by KoMarketing, 51% of people think “thorough contact information” is the most important element missing from many company websites. If you have an EVENTS page or CALENDAR, you should also make sure that you take down old events that have already happened and update any changes that need to be made to the calendar. It’s also a good idea to make sure that all of the call-to-action buttons are relevant and still point your website audience to the actions you want them to take. If cleaning up your content and other parts of your website seem like a little too much, then contact VisionAmp Marketing today. VisionAmp specializes in creating websites that create and convert leads. And for websites to work, we understand the importance of making sure your website is up to date and mobile-friendly. Check out our Portfolio page to discover how VisionAmp can transform your website into an eye-catching, lead producing website to help your business grow. And if you don’t want to mess with creating new and fresh content, VisionAmp has you covered. We can sit down and create a custom content marketing plan specific to your needs and your company. Give us a call today at 855.862.5491.